I’m going to be honest here. Sometimes my insecurities grip me to the point where nothing life giving can get in. Insecurities cause us to drown and as you very well know, drowning is not exactly a life giving situation. It causes death. I’m not trying to be morbid, but rather prove a point. Even though our insecurities don’t necessarily cause our heart to stop beating, it can certainly feel that way. I struggle with anxiety and depression, which means my life is chockful of insecurities. Are you over there saying “me too sister!” ? Well, we can stand in unity in our anxiety. Or we can do something about it. You have two choices. You can either have a fixed mindset or a “willing to change” mindset. If you have a negative fixed mindset, you believe that your abilities, relationships and intelligence is limited. You feel stuck. You often tell yourself things will never get better and that it all comes back to you being a failure. You feel lost in darkness and you can’t find the light. If you have a “willing to change” mindset, you see your abilities, relationships and intelligence as something that can change and has the potential to grow you, if you allow it. You have to make the conscious choice to allow little changes in your life. When we think with one of these mindsets, we actually set the wiring in our brain. As a nurse, I find this fascinating. Every thought we have releases brain chemicals. Every thought we have also leaves something on our brain called “memory traces.” Simply put, it’s a memory. Our memories greatly impact our perspective. Your patterns of thought will become you. And emotions just make those memory traces stronger. I know that sound’s super depressing. But here is the cool part. We actually have the power to rewire our brains. 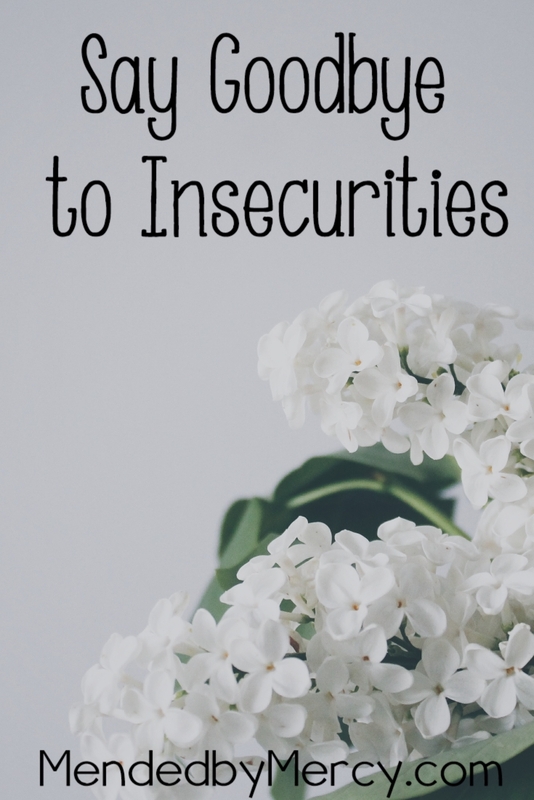 We can grow past our insecurities. May I present to you the Christian mindset? God created you. You are His masterpiece, and He has a purpose for you. You have already been cleansed through Jesus. Because of His sacrifice, you do not have to live in a negative fixed mindset. I know this sounds easier said than done. It’s true. It takes time, effort and healing. Forgive yourself of your past. Ask God to create in you a clean heart. A new heart. He has the power to do just that. Know that you will have setbacks, but that is okay. Show yourself GRACE. Remember that you have the choice to accept or refuse the thoughts that cross your mind. Believe you can because He can. Don’t give yourself negative labels. Clothe yourself with labels of God’s truth. Choose wise words to speak to yourself. Choose words that speak to the Almighty and His ability to create an amazing you. You are a child of God and His beloved. Give Him thanks and praise each time a negative thought pops in your mind. Follow that praise with a prayer. Believe with your whole heart that God can transform you and renew your mind. And He will. What step are you going to take today to renew your mind into the christian mindset? Girl, I am with you in battling the anxiety and allowing it to take over my thoughts- sucking me under, near drowning in allthethings, pulling me away from God and the ever care and concern of Jesus. My favorite “Go to” verses are Phil 4:6-8. 4:8 is where I settle my thought life, claiming all things worthy of praise… it changes everything.